It seems every day that we're reporting on some new news coming out of the DC and WB camp. Today, it's being reported by Forbes (a very reputable source) that they've officially decided to dump any upcoming projects featuring Jared Leto in the role of the Joker. 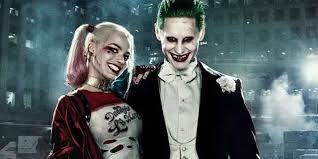 Apparently, the Joker and Harley Quinn team-up film has been put to sleep by the production house and so has the standalone movie that would strictly center on Leto's insane version of the character. While some might be excited or happy that he's no longer in the role, it further proves what trouble the DCEU is still in. For some reason, they just can't seem to get it right, despite the massive successes of Wonder Woman and Aquaman. Obviously, the only pairing between the clown prince of crime and his dastardly counterpart were only seen together in Suicide Squad. Whether or not this is related to Leto's upcoming work with Marvel still remains to be known. Yet, it seems that his twist on the Joker has officially been put to bed.